Our cottage is available to visiting groups of up to 15 persons (more by special arrangement) weekends or mid-week on a non-exclusive basis for a cost of £6.00/night per person (now with improved facilities). See www.godrepentre.co.uk FOR MORE DETAILS. 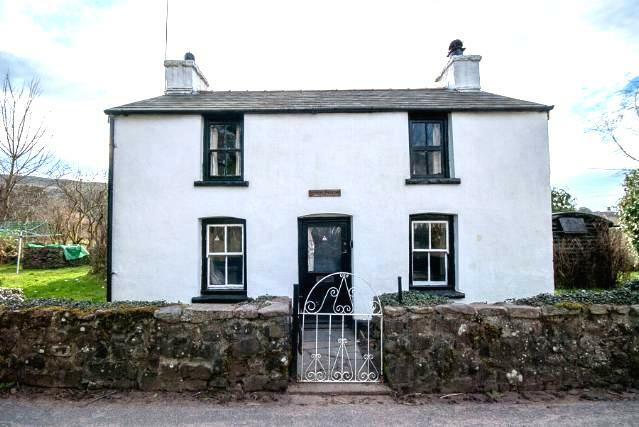 Godre Pentre (Welsh for end-of-the-village) is situated in the village of Ystradfellte between Abadare and Brecon, conveniently near the New Inn and caves such as the Little Neath River Cave. Pant Mawr Pot and Porth-y-Ogof. South Wales Caving Club at Penwyllt and the extensive Ogof Ffynnon Ddu cave system is about a 20 minute drive away. The area is however otherwise rather remote and you need to ensure that you have a basic food supply and petrol in your tank! There are plenty of other activities such walking on the Brecon Ffans the famous 'waterfall walk' and climbing at Dinas Rock. The cottage post code is CF44 9JF, grid ref SN 93165 13681, for directions and a location map, scroll to the bottom of this page. Bunk sleeping bag accomodation upstairs in the main building in 2 sections + continental style in the back roof - access via a narrow steep spiral stone stair. There are 2 lockable sheds one of which has an additional toilet and shower and a part with a dehumidifier we use to dry kit in. The kitchen has gas/electric cooking a microwave/toaster/kettle, a small gas oven and has the usual pots/pans/cutlery etc. At the rear is a outside garden table/chairs etc. You can also camp in the garden. There are charging points for lamps etc. The building has central heating - however in winter you need a 3 seasons bag as the stonework takes at least a day to warm up! The pub (New Inn Ystradfellte) is a short distance away and does food (shut Sun PM and all day Mon & Tues). See the events calendar for current bookings. A deposit is not normally required however cancellation charges may be levied. There is a minimum number of 6 in winter. Entry is via a coded keysafe by the front door. Above ground activities near the cottage include the Waterfall Walk along the Afon Mellte, walking on the Brecon fans and climbing at Dinas Rock – a brilliant crag with some of the best climbing in SE Wales: single and multi-pitch routes up to 65m (http://ukclimbing.com/). Met Office , BBC or the Pant-y-Llwyn weather station about a mile from the cottage.